According to the online urban dictionary, humdinger is a term used by yokels or rednecks to describe a good time. Whether Magnus, Adrian and Audun are yokels or rednecks is a discussion for another time, but they all agree that American roots music fits the bill of a humdinger. Magnus Wiiks Humdinger is a power guitar trio that searches for the sound of the future by digging up the past. Sometimes they dig really deep, such as when they reconstruct the classic fiddle tune "Old Joe Clark" in "Clark goes Electric". Other times they dig a little shallower, like in the Merle Travis- inspired title cut "From Rags to Britches". Sometimes they barely scratch the surface, as in "Way to go Donny", where they try to imagine what it would sound like if Brad Paisley teamed up with The Dude from The Big Lebowski! The trio saw the light of day in 2013, but the boys had already been playing for many years in other settings. From playing free jazz in Dresden to wedding music in Tydalen (the home of Norwegian rednecks), the boys had a solid interplay before forming Magnus Wiiks Humdinger. 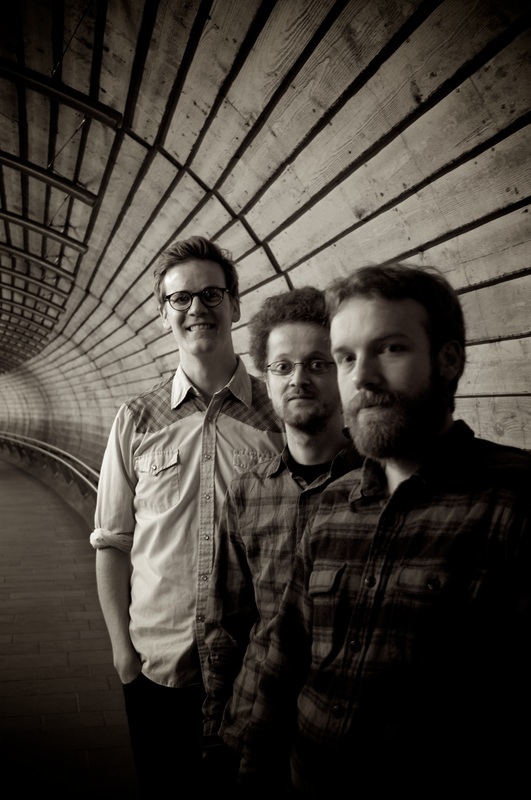 With a fearless respect for American roots music, the trio brings a healthy dose of jazz to their sound. The result is neither free jazz nor wedding music, but maybe something in between! Magnus Wiik has worked in the guitar trio-format since 2002, and through studying jazz in Trondheim, Copenhagen and Oslo he has a tenfold of trio constellations behind him. In addition to jazz, he has always been passionate about bluegrass and folk music, and the electric guitar often had to yield to the acoustic. In 2012 he fell in love with a butterscotch blonde telecaster, which once again gave the electric guitar the upper hand, and thus Magnus Wiiks Humdinger was born.